…..and don’t call me Shirley! 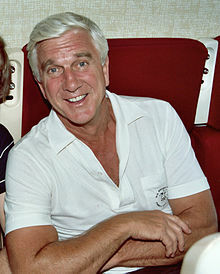 In November 2010 American actor and comedian Leslie Nielsen died aged 84. Now you probably ask what his connection with Dame Shirley is. Here you can watch an interview from 1993 for GMTV with both Shirley Bassey and Leslie Nielsen. Thank you Pieter. DSB looks gorgeous and you can tell it was a bit too early for her to be chatting, yet she expressed herself very intelligently and lively. What a trooper she is. Good to see Leslie Nielsen. The interviewer was very good. Thanks Pieter.